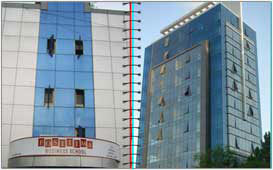 FOSTIIMA Business School which is shortly known as (FBS) located in Delhi was set up in the year 2007. FOSTIIMA Business School is one of the unique B School that goals to recognize aptitude and progress management skills to managers for the new emerging India. This institute provides a unique mixture of theory and experimental learning procedure accepted by the best B-Schools in the world like Harvard, Stanford and the IIMs. They mainly focus on experimental learning and trusts that its major responsibility is to safeguard that all its students to find placement in reputed Corporates. This institute have an amusing knowledge in corporate world and as well as teaching area. And they share their rich, practical experience with the students of this college. Their main objective is to formulate the young managers to face the challenges and to create them platform by upholding excellent standards of ethics, integrity, education and discipline. This institute has been University Grants Commission (UGC) approved. By their multiple campuses FOSTIIMA aims to deliver broad, comprehensive, modern and innovative educational services, to seek for the successful careers of all the students and to provide quality management education. And the scholarship of around Rs. 30,000/- are provided for students who have secured more than 85% in CBSE or more than 90% in State Boards in class 12th. The PAN network of IIT IIM has huge alumni network and connection with national and global organizations to place the students. Guest lectures are provided to the students like Commencement Address by Mr. Ravi Uppal of Jindal Steel & Power Ltd. Cultural program called Cadance is conducted every year to encourage the students to actively participate in it. Financial Education and Awareness Program is conducted in order to help the students gain knowledge. The placement cell has wide range of links with IT & ITES, Consulting, Insurance, Financial Services, and Logistics and Engineering firms to provide much job opportunities for the students. The students are provided with stipend paid internship in winter and summer to know the policy and procedure of the industries. The students are provided with quality accommodation with air conditioned spacious rooms having all the required facilities to fulfill the needs. The hostel has high speed Wi-Fi accessibility and the mess provides healthy, secure and comfortable nutritious food. The candidates have to score good rank in the national level entrance exam called CAT as per the category cutoff to get admissions in the college for MBA courses. want to know abut frees and placement? I am interested in mba ? 10+2+3 with 50% or more from a reputed /recognized university. valid score in CAT-Common Admission Test/GMAT-Graduate Management Admission Test/XAT/IFEAT entrance examination. apply offline or online with the required information. Approximately INR 675000/- for the complete course. Write Your Reviews on "Fostiima Business School"
Are you Interested inFostiima Business School"? Please provide the following details. Ask Question on "Fostiima Business School"?